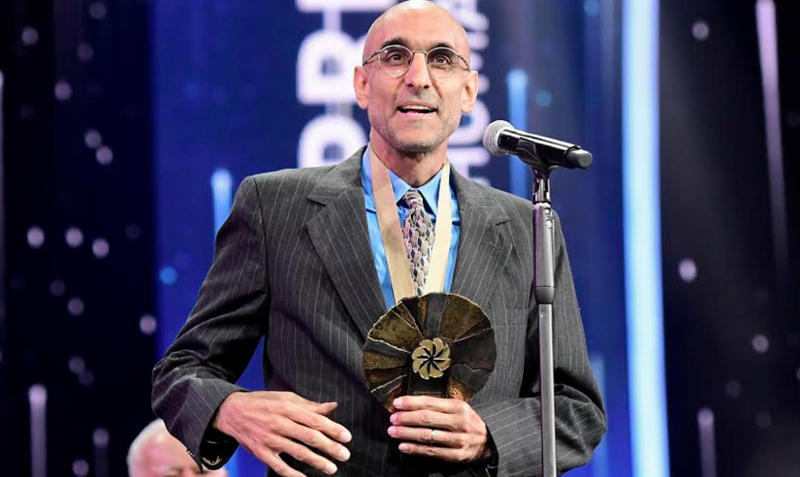 American missionary doctor Tom Catena has scooped the coveted $1.1 million Aurora Prize for exceptional humanitarian work in the Sudan’s war-ravaged Nuba Mountains. Catena will receive a $100,000 (Sh10 million) grant and the opportunity to continue the cycle of giving by donating the accompanying $1,000,000 (Sh100 million) award to organisations of his choice. Dr Catena was presented the prize on Sunday in Armenia’s capital, Yerevan for his daring but passion driven missionary works. The prize is granted by the Aurora Humanitarian Initiative on behalf of the survivors of the Armenian Genocide and as gratitude to their saviours. He was selected as the 2017 Aurora Prize Laureate from a pool of more than 550 nominees from 66 countries who had applied. Academy Award-winning (Oscars) actor co-chair of the Aurora Prize Selection Committee George Clooney heaped praise on the Catena for his exemplary work. “As violence and war continue to threaten people’s spirits and perseverance, it is important to recognize, empower and celebrate people like Dr Catena who are selflessly helping others to not only survive, but thrive. Dr Catena is a role model to us all, and yet another example of people on the ground truly making a difference,” he said. He will donate the award to three organizations namely, the African Mission Healthcare Foundation (USA) Catholic Medical Mission Board (USA)�and Aktion Canchanabury, Germany. For almost a decade, Catena known by locals as “Dr. Tom” has been on-call 24 hours a day, seven days a week at the Mother of Mercy Catholic Hospital to care for the more than 750,000 citizens of Nuba amidst ongoing civil war between the Government of Sudan and the Sudanese People’s Liberation Movement. Patients have been known to walk for up to seven days to receive treatment for injuries from bombing attacks, and ailments ranging from leprosy and tuberculosis, to bone fractures to malnourishment and malaria.